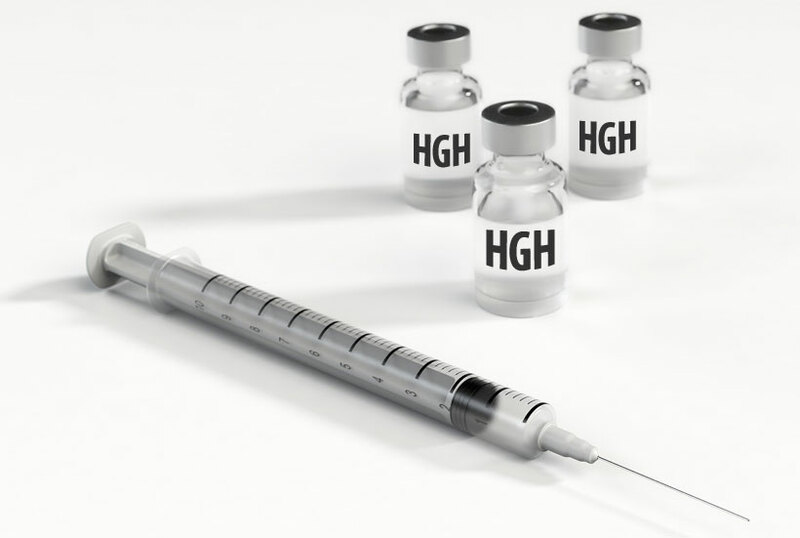 Home » Ask The Trainer Blog » Health » What Is HGH And How Does It Work? Human Growth hormone is a 191 amino acid peptide produced and stored in the anterior pituitary gland. HGH is also known as somatotropin since it is secreted by the somatotropin cells of the anterior pituitary. HGH is considered a mitogen, which is a type of chemical that triggers mitosis in certain populations of cells. It is therefore a critical component in human and animal development as well as maintenance of tissues throughout adulthood. Synthetic human growth was first developed in the mid 1980’s and was approved by the FDA for treating a variety of conditions such as growth problems in children. 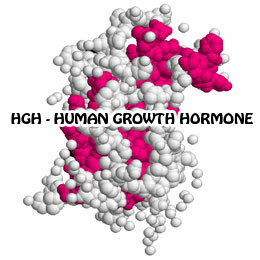 As an anabolic (growth promoting) hormone, HGH raises the levels of glucose and free fatty acids in the bloodstream. It accomplishes this by binding to receptors on the surface of cells and activating the MAP/ERK pathway or the JAK-STAT cell signaling pathway. In the case of MAP/ERK PATHWAY activation, cartilage cells are stimulated to divide. When HGH targets the JAK-STAT cell surface receptors it begins a signaling cascade that leads to the cell producing IGF-1 (Insulin-Growth Factor 1). This hormone promotes growth in a wide array of other tissues. HGH has been show to increase physical capacity through increased collagen synthesis in muscle and deep tendons. A study in International Journal of Endocrinology found that HGH deficient men on long term HGH therapy experienced increased exercise capacity and normalization of muscle strength. In healthy men the study concluded that increased strength was shown after treatment with synthetic HGH. Synthetic HGH has been shown to increase bone regeneration after fractures and enhance wound repair. It accomplishes this through both direct and indirect mechanisms. It enhances collagen synthesis and chondrocyte(cartilage cells) division by increasing the production of IGF-1(Insulin growth factor 1) which in turn stimulates the bone tissue division and repair. A controlled study of 28 men done at the University of California showed benefits such as increased deposition of cartilaginous tissue and better wound healing. A study published in Hormone Research, a double-blinded 12 week study showed a 1.6 fold increase in weight loss with HGH treatment. These benefits were noteworthy in obese individuals whose body often has lower levels of the hormone. Deficiency in human HGH is associated with increased cardiovascular risk and decreased life expectancy. Studies have shown HGH plays an important role in lipoprotein metabolism and disturbances in this can increase risk to the heart. Growth hormone release directly alters the level of free fatty acids and glucose in the bloodstream. A Swedish study showed that patients with low HGH levels have increased triglyceride levels and higher cardiac risk compared to controls. How Long To See The Benefits of HGH Therapy? HGH can begin increasing the capacity of the bones and tissues to heal within the first month of therapy. However, hormone therapy injection treatment will continue to improve vitality and immune response over the next several months of treatment. The increased production of lean muscle and burning of fat begins within weeks of treatment initiation. Up to 30% of patients can experience some side effects. These include fluid retention and muscle pain as well as joint pain. Some patients may experience carpal tunnel syndrome which can produce pain and numbness in the hands. Possible skin coarsening at higher doses has been noted but will go away after stopping treatment. Increases in blood sugar as well as hyperlipidemia have been seen in some patients. Abuse can lead to cardiomegaly, a serious complication at high doses.